Although he's best known as the hard-driving, groove-oriented drummer for the pioneering rock group Living Colour, Will Calhoun has played in a staggering variety of styles and traditions over the course of his eclectic career. Straight-ahead jazz, fusion, traditional African percussion, funk, hip-hop, and of course hard rock -- Calhoun has explored them all, and he traces the roots of all of them to one man: legendary drummer Elvin Jones. On his second album for Motéma Music, Celebrating Elvin Jones (due out August 19), Calhoun pays tribute to his earliest and most profound influence with a stellar band of musicians, all of whom were impacted by Jones through their personal growth as a musician or their past working with him directly: bassist Christian McBride, saxophonist Antoine Roney, pianist/keyboardist Carlos McKinney, and trumpeter Keyon Harrold. The great keyboardist Jan Hammer, a member of Jones' trio for On the Mountain (1975), joins the band for a reprise of that album's Gene Perla-penned track "Destiny;" and Senegalese percussionist Doudou N'Diaye Rose joins with a group of drummers for the traditional Japanese folk song "Doll of the Bride." "Elvin connected my worlds," Calhoun says. "Although I saw him playing jazz, I felt rock and roll, I felt fusion, I felt African music. It sounds electric, it sounds acoustic, it sounds very African, it sounds very Latin, there are all these elements in there." Calhoun first became acquainted with Jones' playing as a young child hearing the drummer's recordings with the classic John Coltrane Quartet -- a band that he now considers part of a Holy Trinity with the second great Miles Davis Quintet and the Jimi Hendrix Experience. At the age of 14, Calhoun witnessed Elvin playing for the first time at the Village Vanguard and had the opportunity to meet and speak with the drum legend on various occasions throughout the years prior to Jones' passing in 2004. "Listening to Coltrane's band in my youth reminded me of some kind of an incredible explosion," Calhoun says. "The music was beyond jazz. There were a few records in those days where you put the needle down and you didn't make it back to the couch. The Coltrane records were some of those albums where I just stood there staring at the needle and listening, and Elvin was driving that train -- no pun intended -- by shoving a lot of coals into the fire. He had a profound effect on me." Jones also had a profound effect on all of the members of the band that Calhoun assembled for the occasion. McBride only played with the drummer on a few special occasions, including saxophonist Javon Jackson's debut album, Me and Mr. Jones. Both Roney and McKinney can boast of more extensive experience under Jones' leadership, with both appearing on the drummer's final release, The Truth: Heard Live at the Half Note. While Harrold did not have the opportunity to ever perform with Jones, the drummer has long influenced him. 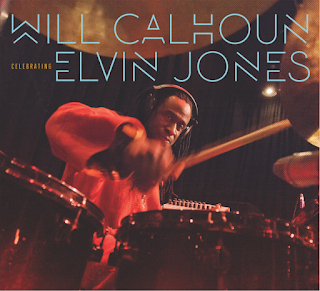 Calhoun drew on all of their experiences as he developed the music for Celebrating Elvin Jones. "Hearing those guys telling stories about when they were on the road with Elvin was helpful," he says. "I chose according to what music would best represent my vision. I also wanted to put my own vibe into the music." 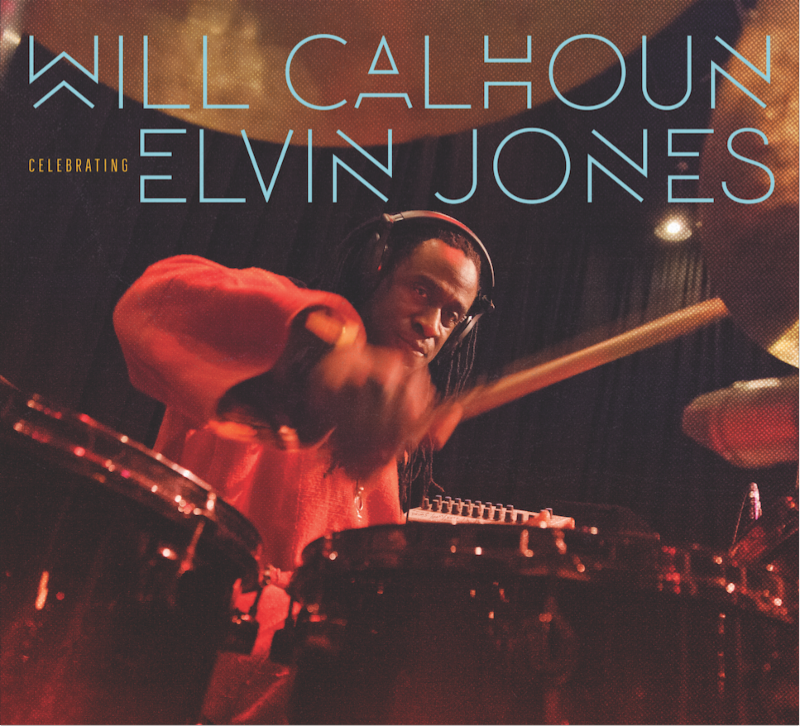 The songs that Calhoun selected for Celebrating Elvin Jones span the late drummer's career, though they also reflect a distinctly individual approach to that catalogue. Calhoun devised the repertoire based on purely musical instincts, not just skimming the drummer's most recognizable tunes. There's nothing on the album from the Coltrane Quartet, and "Three Card Molly," perhaps Jones' best-known composition, is missing from the track listing -- in part because Calhoun recorded a memorable version for his 2006 release Native Lands in the immediate aftermath of Jones' death. The rousing opener "EJ Blues" was a staple of the Elvin Jones Jazz Machine's live performances in the 1980s, while Wilbur Little's stabbing modal tune "Whew" dates back to the drummer's 1969 album Poly-Currents. John Coltrane's "Harmonique" predates Jones' tenure in the saxophonist's band, but the drummer recorded it on his 1984 tribute, Brother John. Jones recorded Wayne Shorter's "Mahjong" on the composer's 1964 release JuJu, while his wife Keiko contributed "Shinjitsu," which was recorded on 1985's Live at Pit Inn. The meditative "Sarmastah" is Calhoun's sole original composition on the album, featuring the drummer playing blissful 12-string acoustic guitar to conjure a transcendent mood in conjunction with Roney's soprano and McKinney's electric piano. Two very special guest appearances close out the album. Hammer, as mentioned above, originally recorded "Destiny" with Jones in 1975, so Calhoun was honored to have the influential Czech keyboardist contribute to the album. Hammer, who came to prominence as a member of the Mahavishnu Orchestra and whose breakthrough success on Miami Vice coincided with Living Colour's biggest hits, is instantly recognizable as his lazing, soaring synths pair off with Calhoun's raucous drumming. Finally, Calhoun opens the traditional Japanese folk song "Doll of the Bride" with a recording of the late Senegalese percussion master Doudou N'Diaye Rose with a group of drummers. Calhoun treasures his memories of meeting Rose, visiting his house in Senegal and having the opportunity to ask questions of the master. The experience brought back memories of a visit the drummer made to saxophonist Roney's home for rehearsal, where he noticed a photograph of Jones in Africa surrounded by hand drummers, making an explicit connection that he'd always heard intuitively. "Elvin and Doudou reminded me of each other," he says. "They have a lot in common in how they speak about rhythm and music in a very respectful, classy, educated and freeform way. I don't know if they ever met, but I wanted to recognize the energy and spiritual camaraderie between those two gentlemen." In recording Jones' music, Calhoun didn't want to imitate the drummer, but simply -- as is only appropriate for such a restlessly inventive and forward-thinking artist -- to absorb his influence and explore his music in a uniquely personal and progressive style. "I wasn't trying to nail Elvin's playing or sound," he explains. "I love Elvin and all of his contributions. He's inspired me in so many ways, even playing with Living Colour, so this piece, to me, is celebratory. It's a thank you and a respectful homage to this wonderful musician."